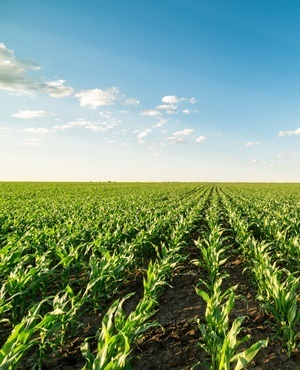 In this joint piece, Sam Motsuenyane and Paul Ntshabele discuss the history of land dispossession and what needs to be done to empower agriculturists who are not white. This is what my University of Pretoria soil science professor said in 2004 when I was studying agronomy. In the curiosity of my teenage mind, I had to dig deep and do research to prove this old white man wrong. Sam Motsuenyane: I am descended from the Motsuenyane family, which originates from the Bakwena ba Modimosana tribe and whose ancestral home is Molokwane, situated about 30km west of the town of Rustenburg in North West. Around the 1820s, this farming community was driven from their ancestral home at Molokwane. They moved to the then Orange Free State, where they worked for Afrikaner farmers. Prior to the Anglo-Boer War in 1899, they moved back to the old Transvaal. Some went west and some of my father’s brothers who had experienced farming with the Afrikaners in the Free State bought their own farms in the Lichtenburg and Potchefstroom areas. This was around 1903. I am among those who support the idea of freehold individual ownership of land. I was born on February 11 1927 on the farm Eignaarsfontein, where my parents worked as sharecroppers on the system called “derdedeel”. Under this system, which was used in large parts of South Arica in the 1930s, the big landowners who could not make use of their land organised black people with a strong work ethic to run the farms and then share the crop. A third of the harvest went to the owner of the farm. The system was abandoned when some Afrikaners became apprehensive that it was creating very rich and highly independent black farmers. We must debunk the myth that black people cannot farm and refresh our erased institutional memory of our highly skilled forefathers. For the best part of the 19th century, the agrarian revolution missed the black farmers. Would you expect a technology company whose developmental advances were only allowed to progress until 1913 to compete with a modern-day Space X which plans to set up a city on Mars with 1 million people? With the land debate burning, it is important to reflect on the historical facts and not rely on “alternative facts” and distorted history. The Land Act of 1936 made provision for the establishment of the South African Native Trust, which was created to acquire land for natives with a maximum cap of 13% of the total land. The trust and not the people were to own the land. It is important to note that the act created reserves for natives and increased the 8% of land reserved by the Native Land Act to 13%. It is also historically significant to note that the trust made reserves, not that it acquired the 13% of the total land. To “achieve the objectives of the act, section 13 empowered the trustees of the trust to expropriate land owned by natives outside a scheduled area”. The big miscalculation was counting the land owned by natives outside the scheduled area twice. If one follows the current public debate, one naturally concludes that blacks own 13% of total land. This is not a historical fact, regardless of the popular narrative. After the 1913 Land Act, the SA National Native Congress delegation paid a visit to the then minister of native affairs, Lord Gladstone, and to parliament in London to lay a complaint. The Natives Land Commission 1913 to 1916, led by Sir William H Beaumont, was set up to look at the possibility of giving more land to black people after the 1913 act came into force. The commission “was appointed in 1913 to delimit areas to be reserved exclusively for Europeans and areas to be reserved exclusively for African ownership”. Unfortunately, the commission was created before World War 1, which shifted the focus of government. This meant that the report was not looked at until 1936, when the amendment was made to make available an additional seven and a quarter million morgen, which was to be added to the scheduled native areas. This would have pushed the total reserves to 17 500 000 morgen, which is about 13% of the area of the whole country. However, in 1939, when government was supposed to go ahead with the allocation of additional land, World War 2 began. This further interrupted the process of allocating the 13% total land reserved for natives. After the war, the value of land increased. The Great Depression of 1929 to 1939 also negatively affected the process. Three years after the war, in a general election that took place on May 26 1948, DF Malan’s National Party won the election. The Tomlinson Commission of 1956 dealt with utilisation of existing land and not expansion of scheduled territories. It made recommendations that £104 486 000 (about R10 billion at 1998’s exchange rate) be made available, which the then minister of native affairs, HF Verwoerd, rejected. It is therefore highly questionable that government did indeed reach the 13% land target. Left-wing academic Dr Edward Roux made a deduction that it was 9% and not 13% of total land that was eventually allocated to natives. In 1953, I was tasked by the National Veld Trust to establish the African National Soil Conservation Association. Its mission was to conserve land for the future in the homelands and prevent overgrazing. It was formed to inculcate the need for conservation and proper land use for cultivation so that land would become the source of wealth and development. The organisation included luminaries such as Paramount Chief Cyprian ka Bhekuzulu, Dr JS Morkoka, T Soga, Chief Pilane, Chief Sekwati Mampuru, Chief Frank Mmaserumula, Dr WF Nkomo, Lady Selbourne, the Reverend SS Tema, Chief CK Sakwe, Professor Jabavu, DB Ngakane, Dr JM Nhlapo and Chieftainess Mantshebo. The African National Soil Conservation Association operated by showing films demonstrating the dangers of soil erosion and showcasing conservation work. It published a monthly journal called Green Earth and arranged land camps during school holidays, where children were taught agriculture. The holiday camps were important because they introduced kids to agriculture as a career option at an early age. The association also held an annual conference with chiefs and leaders to discuss issues relating to land. The National Party was afraid of the ethnically united organisation and wanted it to be split according to its segregationist policies. A moral decision was made that, instead of yielding to government pressure, the organisation would instead be suspended. It was eventually shut down and a decision was made that it would be resuscitated when it was fully supported by a government with reasonable policies. One of our biggest problems in South Africa is that land is available but is lying fallow and is not being productively cultivated. The black farmer situation in this country is dire. The conditions are no different from that which necessitated the 1932 Carnegie Commission, which evaluated the so-called poor white problem in South Africa. We ought to draw lessons from that report. How was the poor white problem defeated? Black farmers have virtually no dedicated financial institution to assist them. The Land Bank and the Agriculture Credit Board historically provided cheap funding to white farmers. In its current structure, the Land Bank does not and cannot serve emerging farmers. Even if it fulfils its plan to increase its allocation to emerging farmers to R3 billion, this will only be a tiny portion of the R39 billion book that is largely for white farmers. The problem is that it operates like a commercial bank, therefore it remains largely inaccessible for the majority of black farmers. A resource that is not properly shared is water for irrigation. Government only owns 350 out of 4 000 dams in the country. There is also a problem when it comes to the water rights allocation process. To this day, the irrigation scheme infrastructure mimics that of the apartheid era. A good example is the Hartbeespoort Dam in North West – its canals go through white-owned farms and end where black farms begin in areas where there is fertile land for cultivation. Seeds are to farming what a foundation is to a house. The Agricultural Research Council needs to play an integral role in developing agriculture, particularly in rural areas, like it did in the past. However, it cannot do this when its budget continues to diminish every year. Through the tender system, we procure outdated open pollinated seeds, which we distribute to our emerging farmers. This is tantamount to giving a white driver a Bugatti Veyron Super Sport car and a black driver a 1953 VW Beetle and then telling them to race. As if that’s not enough, we then celebrate the Bugatti Veyron Super Sport car driver for finishing first and being a good driver! Ntshabele: If we want black farmers to commercially compete, we need to seriously look at the issue of open pollinated versus hybrid seeds with higher yields and disease resistance. To finally respond to my soil science professor, albeit 13 years later, black people have always farmed this land – even before the colonisers arrived in 1652. I suppose it will please my professor to know that I’ve just enjoyed oranges from Dr Sam Motsuenyane’s farm from Dennilton, which he sends to Marble Hall for processing. He is a brilliant 91-year-old farmer and agronomist. The future of this country hinges on all of us working together to sort out the land issue. * Ntshabele is a trustee of the Dr Sam Motsuenyane Rural Development Foundation, which is hosting the inaugural Agricultural Development Lecture on Friday.